Trick or Treat! Inspired by the vintage Halloween plastic blow molds that your grandmother loves to hoard, these pins are classically bright orange and black with a pop of neon green for good measure. 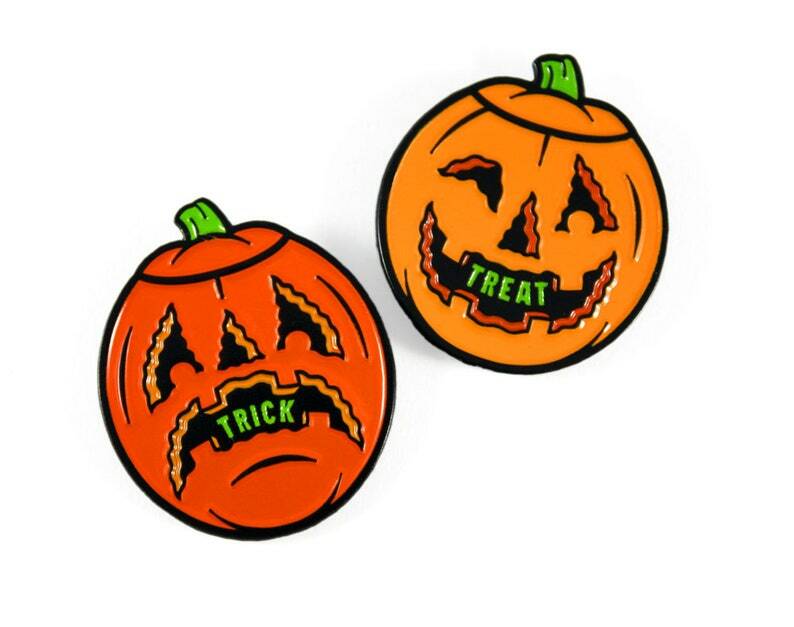 This listing is for a set of two (2) enamel pins - 1 Trick and 1 Treat - mounted on one carding. Size: Each is approx 1" x 1.25"